As universities compete with each other to win new students, one area that has been given more attention over recent years is the quality of student accommodation. For some, the days of old fashioned accommodation blocks are gone, with the rise of stylish new hotel and apartment style schemes set to win new students. 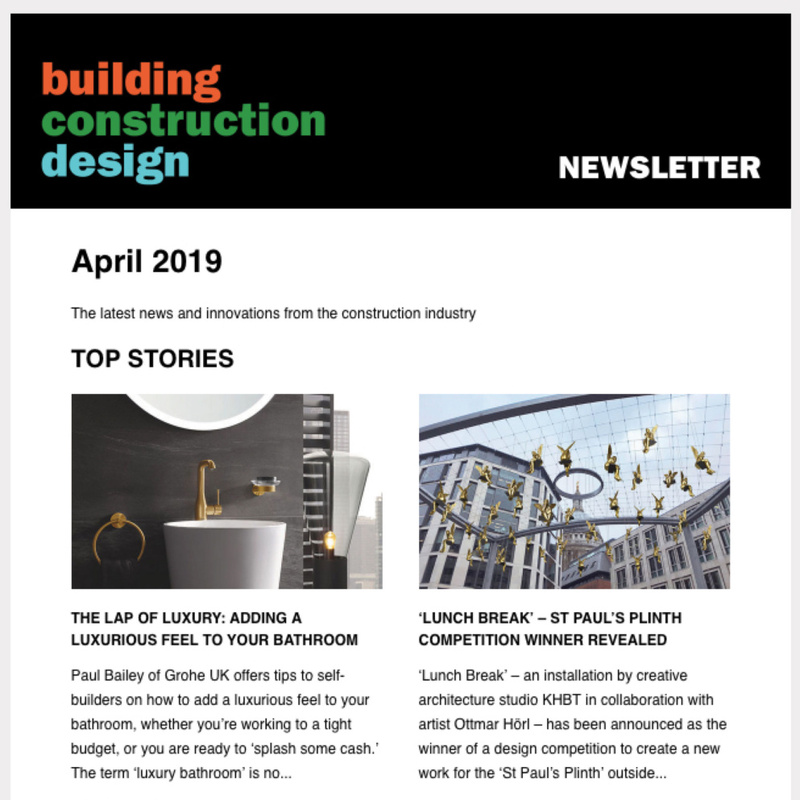 Eurobrick Systems has been leading the brick cladding sector for 30 years and has recently been involved in one of these new developments for Coventry University. 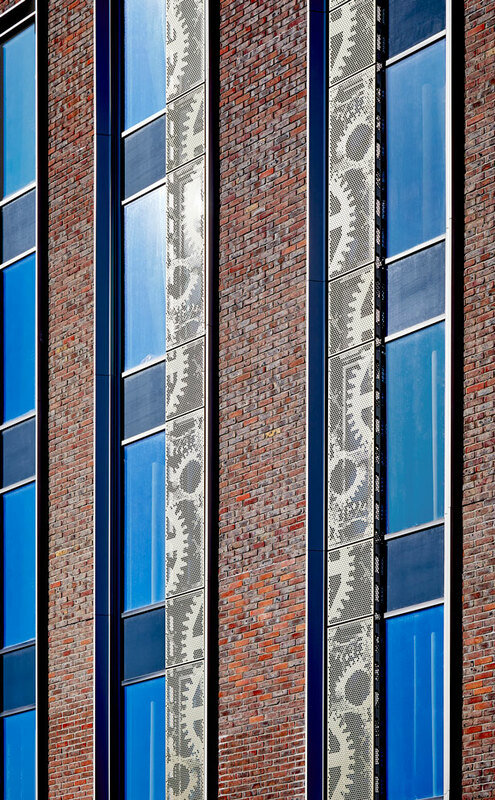 Godiva Place is a huge hotel style accommodation scheme by Galliford Try, and for Eurobrick, this is their biggest cladding project to date. The £47.5m scheme is a 24,500m² project designed to provide student accommodation with a social hub, sports facility and parking as part of the university campus in Coventry city centre. 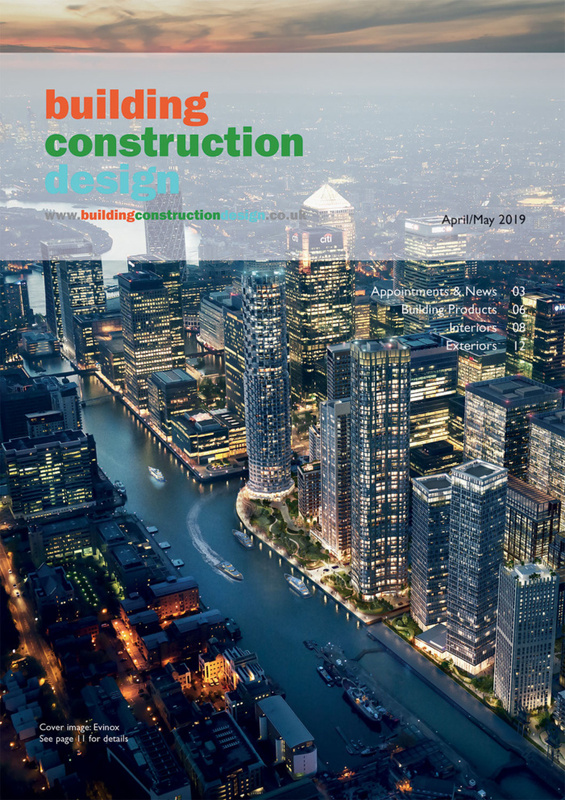 Architects Lewis and Hickey designed the scheme for developer Regents Godiva, and were restricted by height limitations due to affecting views of historic buildings and daylight for adjacent residential properties. This means that the five block project varies in height between four-nine storeys. With a mix of studios, ‘twudios’ and cluster accommodation units, the student accommodation block provides a total of 772 bedrooms. 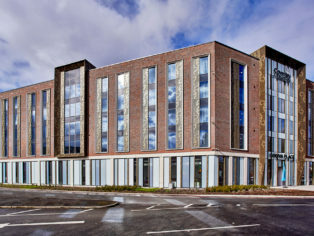 Designed with a perimeter block to create a defined edge and shield from the noise and pollution of the nearby dual carriageway, the building also has a number of finger blocks that maximise daylight penetration to the interior spaces. 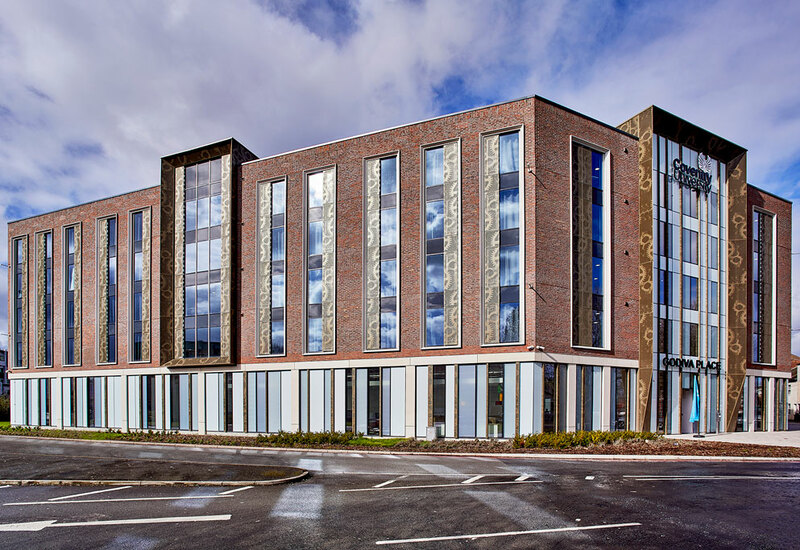 As this was a fast-build project, with many parts of the building being constructed off-site, a quick and effective brick finish that is flexible enough to be installed on-site was required. P-Clad is an external wall cladding system that was developed for use as a sheathing on structures where there is no requirement for insulation and it is also suitable for use on some high rise installations. Godiva Place was constructed using a rapid erect, light-gauged, steel framed wall system with concrete floor slabs. The building was then sheathed in cement particle boards and Eurobrick’s P-Clad system was installed onto horizontal rails. These rails were attached to the Nvelope helping hand bracket and vertical rail support system, which also incorporates an insulation element in the air gap behind. 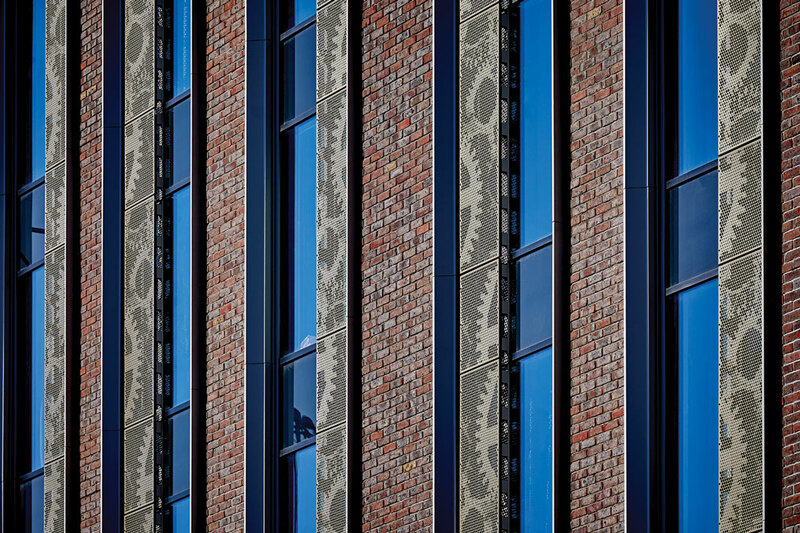 Circa 5350m² of Eurobrick’s P-Clad was supplied to the installing contractor Select Facades, along with Michelmersh First Quality Facings brick slips that were specially cut to 25mm thick, including corner slips and special angles. These were sent in staged deliveries over the course of 18 months to tie in with project timelines. 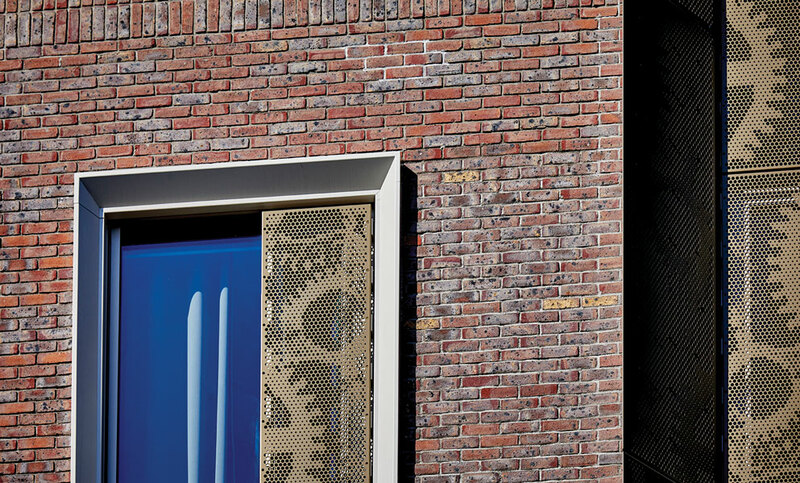 Eurobrick stock a wide range of brick and stone slips and can also source other finishes and specially cut bricks from a number of specialised manufacturer partners in the UK and Europe, including non-standard sizes, glazed bricks and bespoke products and colours. 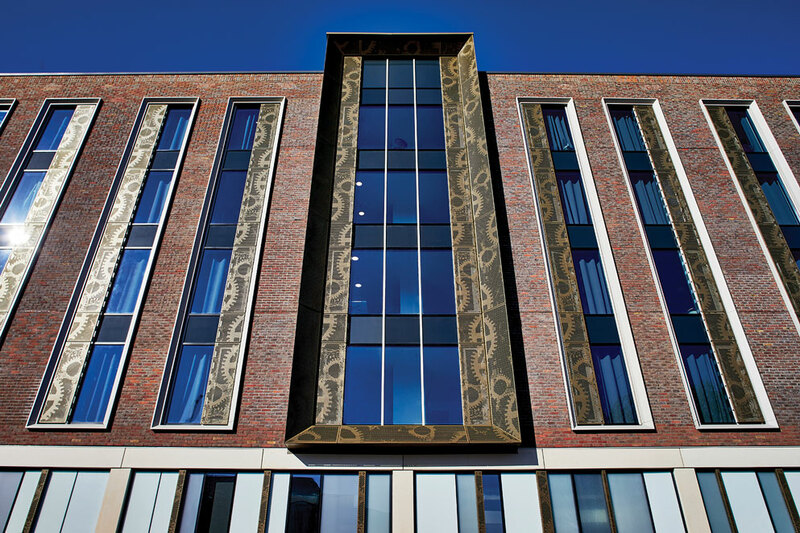 A number of cladding materials were used to create the overall innovative design and eye catching exterior of Godiva Place, which now offers an aesthetically pleasing and unique style of living to the students of Coventry University.